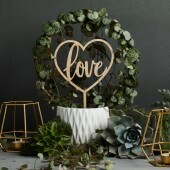 Wedding Couple Photo Frame Cake Topper Fun, trendy poly resin wedding cake topper! Hair colour.. 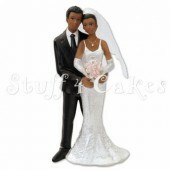 Wedding Couple Football Theme Cake Topper Classic poly resin wedding cake topper! 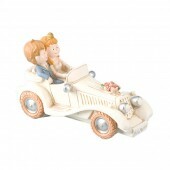 Hair colour ..
Bride & Groom in White Classic Wedding Car Ideal for a wedding cake topper! 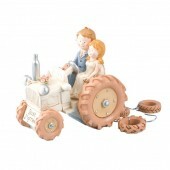 Approx: 150 x ..
Bride & Groom in Ivory Classic Wedding Car Ideal for a wedding cake topper! Approx: 150 x .. 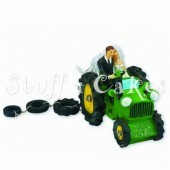 Very cute Bride & Groom Tractor Wedding Cake Topper. 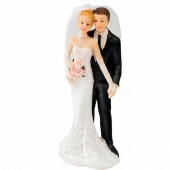 Beautifully crafted in resin, it i..
Resin Bride & Groom Standing Wedding Cake Topper. Beautiful sparkle on the dress. 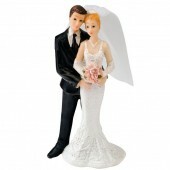 Size app..
Resin Bride & Bride Standing Wedding Cake Topper. Beautiful sparkle on the dress. 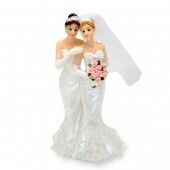 Size app..
Resin Bride & Bride in a Wedding Dress Cake Topper. Beautiful sparkle on the dresses. 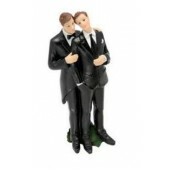 Size..
Resin Groom & Groom Wedding Cake Topper. Size approx: 125mm high. 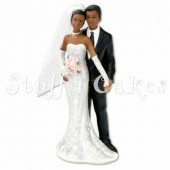 ..
Resin Bride & Groom Standing Wedding Cake Topper. Beautiful glitter sparkle on the dress &..
Rose Gold 'Mr & Mrs' Cake Topper This rose gold cake topper has a little sparkling diamante i..
Rose Gold 'Mr & Mrs' Cake Topper. This rose gold cake topper has a little sparkling diamante ..
Silver 'Mr & Mrs' Cake Topper. 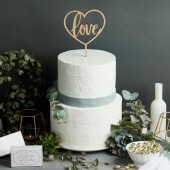 This silver cake topper has a little sparkling diamante in the..